A dog collar is a universal symbol that heralds others that the dog has an owner. It will also carry some valuable information such as the name of the owner, address, contact details, and recent vaccination details. If the dog collar carries all these details, your dog can be returned if he gets lost. It is also mandatory in many areas that the leash should be connected to a collar when you take your dog in public. Therefore, you should purchase the best leather dog collars. ​The market for leather collars for dogs is very wide. You can select one on the basis of the peculiar nature of your dog. If your dog is a puppy or a small breed dog, a soft and adjustable collar is suitable. However, hunting dogs and bigger breeds require tougher collars. ​While purchasing a dog collar, most owners select a collar with a wrong size, which will increase the risk of choking. Your dog may also slip out of the collar very easily. Therefore, the size of the collar should be suitable for your dog. ​The comfortable width of a dog collar is around 1.5 inches. But, the width of most leather collar is wider than this standard width. The wider collars put lots of pressure on the neck of your dog. 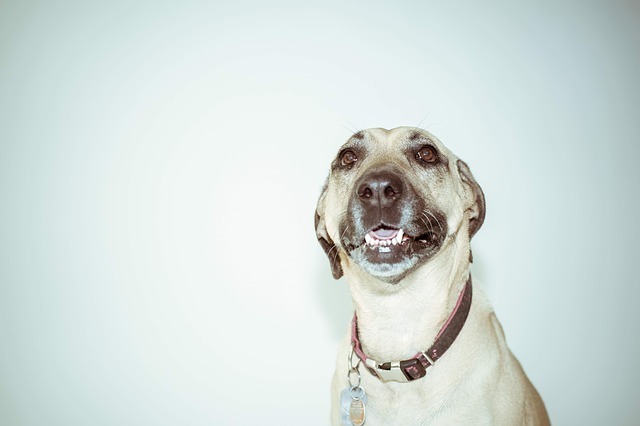 Thinner collars are suitable for dogs with shorter necks. You can select a wider collar if your dog has a longer neck. ​The leather itself is the most important aspect of a leather collar. If you select high-quality leather, it will last a lifetime. It should not be too soft because it becomes softer with time. If the leather is extremely soft, it will not provide enough support for the leash. Leather collars are available in various different colors. Most of them come with different patterns and embellishments like spikes. ​Proper maintenance is required for keeping leather collars in the best form. Continuous exposure to water damages a leather collar. Therefore, exposure to water should be strictly avoided. The collar should be cleaned immediately by using a leather cleaner and conditioner if it is exposed to water. After cleaning, you should dry it naturally, which is essential for preventing the formation of fungus. 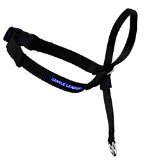 Gentle Leader by PetSafe is an adjustable head collar that offers a stress-free walk to your dogs. It is one of the best collars for stopping some behavioral problems such as pulling, jumping, lunging, and other unwanted behaviors immediately. Traditional collars apply pressure on the front of delicate throat. But the Gentle Leader applies pressure on the back of the neck of your dog. Thus, you can prevent coughing and choking. It has a nose loop, which is helpful for directing the head of your dog in the forward direction. If you use this collar, you can stop dog pulling and your dog starts giving attention to you during walking. This is an easy-to-fit training tool, which is ideal for teaching better leash manners to your dog. The Gentle Leader Head Collar moves the head and body of your dog towards you when your dog pulls. It is helpful for refocusing the attention of your dog to you from strangers, other dogs, squirrels, or other distractions. The Big Dog Soft by EXPAWLORER is a no-pull harness, which is designed specifically for discouraging your dog from pulling. It comes with two clips, one is on a strap near shoulders and the other is on the chest. The Big Dog Soft offers better directional control to the owners. This no-pull harness is extremely safe for both you and your dog. It is ideal for eliminating leash pulling behavior of your dog completely. It has a reflective strap, which ensures the safety of your dog. Controlling your dog is very easy because of a padded and extra handle. Dogs provide you unconditional love, companionship, and help you stay in perfect shape. Just like you, your dog also needs daily exercise for staying healthy. You are aware that running is one of the best exercises to stay healthy, but running with your pet is very difficult. 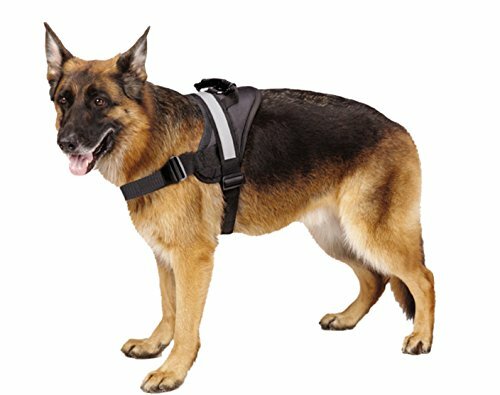 However, you can provide both control and freedom to your dog if you purchase Our Legendary Dog Harness. 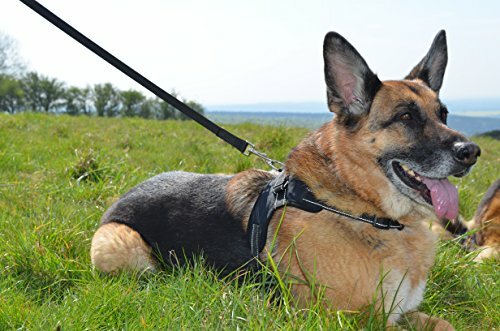 Our Legendary Dog Harness is an adjustable, reflective harness that comes with a leash. It is ideal for walking, training, and hiking your dog. It is non-slip and non-choke. The collar offers the best no-pull effects. Wear resistant, durable material is used for making this collar, so, is non-toxic. The Caldwells No Tangle Dog Leash comes with an adjustable leash and extra strength webbing, which is helpful for walking two dogs very easily. It is better than handling a double dog leash. 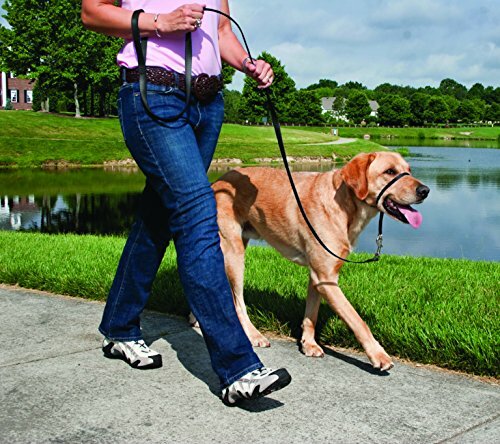 You can simply use the dog walking leash and connect to the extra strength coupler. It has a tangle-resistant design. Nickel plated hooks and a strong alloy ring allow you to keep your dogs on the leash very easily. It does not absorb water and it is free from mildew and rot. 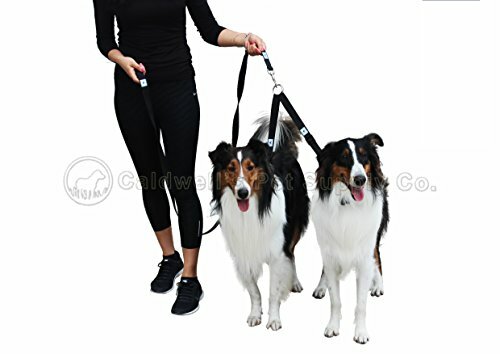 If you purchase Caldwell's No Tangle Dog Leash, you can use it for multiple dogs. If you want to provide something special to your pooch friend, purchasing the best leather dog collars is an excellent option. A stunning range of various luxurious leather dog collars is mentioned here. They are also available in a variety of colors and various widths. These are perfect for making your canine friend as the most obedient chap. Great quality, durability, and nice designs are the peculiar features. Thus, you can pick one from this list confidently.